Located on the south shores of Lake Minnetonka, the City of Shorewood's numerous parks provide the venues for sport and recreational enthusiasts. A featured park that offers year-round amenities and is located in the center of Shorewood, next to the Minnetonka County Club, is Badger Park. 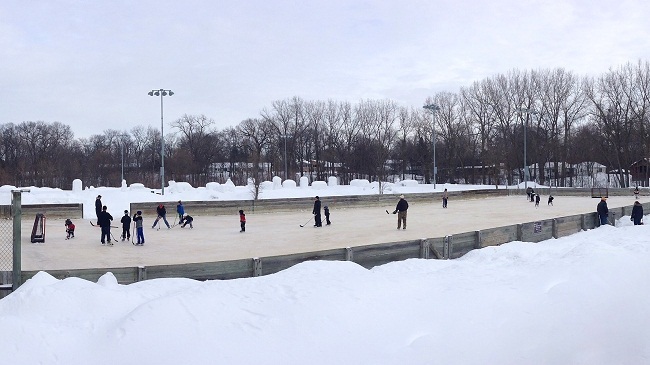 Badger Park boasts a football field, hockey rink with warming house, a playground, and tennis courts. In addition to recreational use, the park hosts youth football and lacrosse teams in the summer as well as the youth hockey teams in the winter. The park’s well maintained amenities help brand it as the premier park in the area. An added feature of the park is the Southshore Center. The center conducts a variety of fairs and parties along with fitness and education classes for the local community. Additionally, Badger Park is used for many outdoor community events, such as snow sculpturing for the Artic Fever Festival and ‘Movies in the Park.' Due to the park’s popularity, the City of Shorewood is currently looking to improve Badger Park's amenities to suit future use.